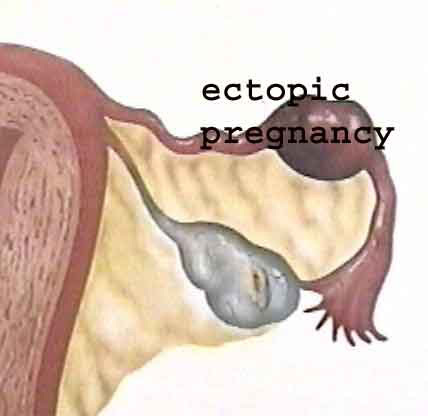 An ectopic pregnancy is one which develops outside the uterus. Most ectopics are found in the fallopian tube and these are called tubal pregnancies. However, they can also occur at other pelvic sites and these include: the ovary; the abdomen; and the cervix. Fertilisation normally occurs in the outer half of the fallopian tube which is called the ampulla. The embryo is then propelled along the fallopian tube, by the coordinated beating of the cilia which line the tube, towards the uterus. An ectopic pregnancy occurs when the embryo gets stuck in the fallopian tube and implants here, instead of moving on to the uterus. Fig 2. Ruptured ectopic pregnancy in ampulla of left fallopian tube. Observe the blood collected in the pelvis. Ectopic pregnancy occurs once in every one hundred pregnancies. The commonest cause of a tubal pregnancy is tubal damage, which is most often due to pelvic inflammatory disease. If tubal damage is severe, the tube gets totally blocked, as a result of which the patient is infertile. However, with less severe infection, the tube remains open, but the tubal lining is damaged, as a result of which the cilia can no longer function effectively. Other reasons for tubal damage include: tubal surgery, infection following IUCD insertion; and previous tubal pregnancy. Infertile patients are at increased risk for ectopic pregnancies, for unclear reasons. Perhaps the cause of their infertility is subtle tubal damage. There is also an increased risk for tubal pregnancy after IVF, since the embryo may sometimes migrate after embryo transfer from the uterine cavity to the fallopian tube. The risk of ectopics after GIFT is greater than with IVF. Initially an ectopic pregnancy may appear just as a normal pregnancy - with a missed menstrual period and symptoms such as sore breasts and nausea. However, there is often abnormal vaginal bleeding which may occur at the time of, a little later than, the expected period. Often, this bleeding is mistaken for a period. Pain on the side of the ectopic occurs commonly and may be associated with a feeling of light-headedness. If the tube ruptures, this usually results in severe abdominal pain, fainting and shock. Making the diagnosis on clinical examination is difficult, and the only suspicious finding may be pain on internal examination. 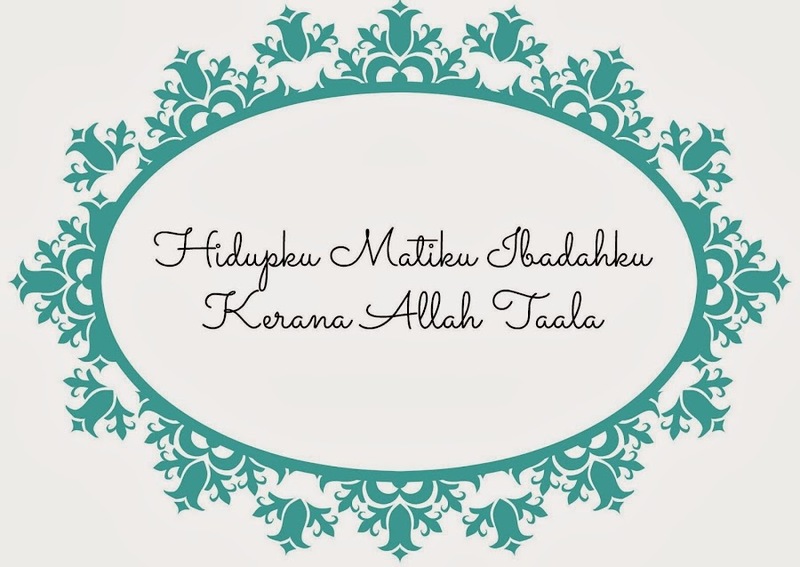 A tubal pregnancy used to be a catastrophe. Diagnosis was usually made only after the tube had ruptured - and emergency surgery was required to stop the bleeding and save the mother's life. Often this meant removing the whole tube, which was often completely damaged. Consequently, the chances of a patient's conceiving after this was markedly reduced. Today, an ectopic pregnancy can be diagnosed very early using blood tests for HCG ; and vaginal ultrasound. Both these tests need to be done simultaneously in order to interpret them correctly. Beta HCG is a very specific "marker" for pregnancy. This blood test is very sensitive and if negative, virtually excludes any risk of a significant ectopic pregnancy. A positive HCG level confirms that the patient is pregnant, but does not provide information about the site of the pregnancy. A vaginal ultrasound allows the doctor to locate the gestational sac of the early pregnancy. Occasionally, the sac may be seen outside the uterus, making a positive diagnosis of ectopic on sonography. 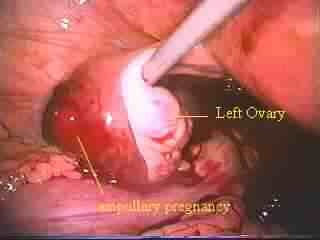 Often, however, the sac cannot be seen clearly in ectopic pregnancies, especially if it is in an early stage. Then, both the scan and HCG levels need to be studied. In a normal intrauterine pregnancy, the doctor should be able to see a gestational sac in the uterine cavity on vaginal ultrasound, if the HCG level is more than 2000 mIU/ml ( this is called the discriminatory zone). However, if the level is more than 2000 mIU/ml and the doctor cannot see a gestational sac , this means that the diagnosis is an ectopic pregnancy. Another blood test which can be helpful is a serum progesterone level, which is low ( less than 15 ng/ml) in patients with ectopic pregnancies, as compared to normal pregnancies. Sometimes, differentiating between an ectopic pregnancy and an early miscarriage can be difficult. In these cases, if a curettage shows that there is no pregnancy tissue in the uterus (as tested by histopathologic examination) then an ectopic is suspected. The diagnosis can be confirmed by laparoscopy, if needed, which shows that the pregnancy is in the tubes, where it appears as a dark bluish bulge. The major benefit of early diagnosis is that with early treatment it is possible to save the tube, thus preserving fertility and increasing the chances of a normal pregnancy in the future. If the ectopic is very early and the HCG levels low, one can choose to simply wait and watch. Often, the HCG levels will fall, meaning that the pregnancy is being reabsorbed by the body on its own and no treatment is needed. Medical treatment is also possible. This involves the use of the anti-cancer drug, methotrexate, which acts on the rapidly dividing cells of the tubal pregnancy and kills them, thus preventing the pregnancy from growing further. Ultrasound - guided treatment is also useful for treating tubal pregnancies which have not ruptured. This involves the injection of toxic chemicals into the tubal pregnancy under ultrasound - guidance. These kill the pregnancy, allowing the body to reabsorb it. Surgical treatment for early tubal pregnancies can be done through the laparoscope as well; with salpingotomy, the pregnancy can be selectively removed and the tube saved. If the tube has ruptured, and blood has collected in the abdomen, then emergency surgery is needed. In these cases the tube is often so badly damaged, that it has to be removed entirely. When this occurs, a couple not only mourns the loss of a pregnancy, but also the possible loss or reduction in their fertility. This sense of loss is accompanied by the discomfort and anxiety of having had an emergency operation. What about the chances of getting pregnant after an ectopic pregnancy? Because tubal disease usually damages both sides, the chances of being infertile are increased. Also, the risk of a repeat ectopic pregnancy are increased even if the other tube seems normal. However, about 60% of women who have had a tubal pregnancy the first time will have a normal pregnancy the next time without further treatment. Early testing during pregnancy to rule out a repeat ectopic is essential! If pregnancy does not occur within about a year of trying, then treatment is needed. Treatment options for fertility will depend upon what surgery was done for the ectopic pregnancy; and what the condition of the other tube is. Often, a second look laparoscopy is needed, to assess tubal status. Options may include: ovulation induction; tubal surgery; laparoscopic surgery; and even IVF. Having had an unsuccessful outcome the first time makes getting pregnant very stressful - especially if the tubal pregnancy ended in a rupture. However, with the right treatment, chances of having a baby are quite good - after all, the fact an ectopic pregnancy occurred means that the eggs and sperms are good!